The months of winter driving are upon us again - so MyCarNeedsA.com presents a rundown of eye-catching facts and figures generated by our need to stay mobile through the short days and long nights. So get cosy and contemplate these top statistics before your next journey. 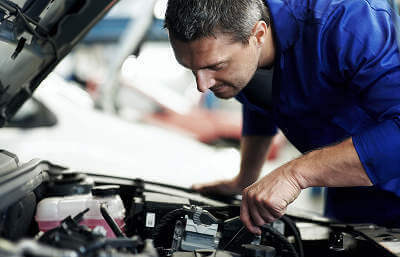 SERVICING£125 The average cost of a basic car service, according to the Money Advice Service. Breaking down and having to be recovered in the winter could cost you several times that amount - so a pre-winter service makes sense. MOT FAILURES30% The percentage of first-time MoT test failures caused by a vehicle’s lights not working properly. But replacement vehicle bulbs cost just a few pounds a time, so it’s easily avoided. TYRES1.6mm The legal minimum depth of tread you should have on your vehicle’s tyres; but anything under 2mm severely affects your car’s braking ability on all but dry roads. BATTERY427,586 The number of breakdowns attended by AA patrols in 2014 caused by dead batteries. So be sure that yours is working properly ahead of any journeys. BRAKES230 Distance (in metres) it could take for your car to stop on an icy road from 30mph - that’s 10 times the distance on a dry road. That’s why your tyres and brakes need to be tip-top. ANTI-FREEZE/COOLANT40%-50% The above is the AA’s recommended proportion of anti-freeze to water needed in your car’s cooling system to give enough protection against the lowest winter temperatures. FUEL1/4Low-speed, winter driving uses more fuel than standard open-road motoring. And because the weather can change quickly, you never know when you might need to alter your route. So always have some fuel in reserve - the AA suggests keeping your tank a quarter full during winter. SCREENWASH50:50 When winter sets in, you need to boost the level of screenwash to water to half-and-half to prevent your washers from freezing up - and stopping you from clearing nasty smears from your windscreen. LOCKSWD-40 If you spray this on your locks overnight, it can also help stop your door locks from freezing in the first place. WINDSCREEN£2.50 The typical cost of a can of de-icer. So stock up, buy an ice scraper too, and keep them in the house (not in the car in case they get frozen in!) so you can clear your screen and windows fully before every journey.